Welcome to Sivantos Inc. We are part of the Sivantos Group, which is one of the world’s top manufacturers of hearing aids. In fact we are proud to develop and manufacture one out of every four hearing aids being used worldwide. We provide hearing care professionals with hearing aids branded Signia, Siemens and Rexton. Complementary accessories, fitting software, smartphone apps and diagnostics workflow solutions are also part of our portfolio. Today, Sivantos Group employs about 5,000 people in more than 25 countries. 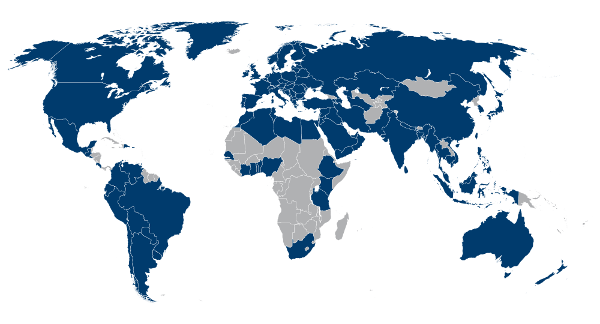 Our international sales departments serve customers in another 95 countries. In many parts of the world we have built up market-leading positions.